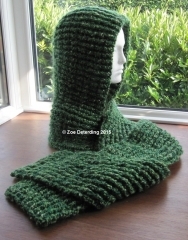 Showing results for tags 'hooded scarf'. 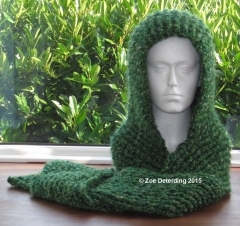 I finished my hooded scarf that I crocheted for my Mom's Christmas gift. The scarf part of the project could have been longer but Mom doesn't like long scarves so it should be okay. I would suggest doing more rows if you want longer tails on your scarf. I didn't do the pockets as my tails were too short. All in all, I do love the finished product. The hood fits nicely and it should keep Mom warm this winter.